Radiation is what is released when an unstable, higher energy atom configuration changes into a more stable, lower energy configuration. The radiation commonly used is photon – a higher frequency electromagnetic wave. The electromagnetic spectrum contains waves such as radio and light. Cancer is treated with waves of even higher frequency and more energy, called X-rays. Less commonly, electron and protons are used. Electrons deposit most of their energy closer to the skin and are good for treating more superficial cancer. As for protons, they tend to deposit energy with more precision with the advantage to spare more normal tissue. Protons are increasingly being used in clinical practice but still not widely available. ‍Figure 1: Electromagnetic spectrum. The radiation used in treating cancer is in the x-ray range. Direct Damage on DNA. Heavier particles, like protons, rely more on direct DNA damage. Overall, this is a minor cause of radiation damage. Indirect Damage occurs when the radiation hits water, and causes a series of reaction leading to free radical formation. Reacting with oxygen produces an even more toxic superoxide O2-, that in turn, damages the DNA. Most radiation damage is due to this. Radiation can break a single strand of the double stranded DNA, or knock out one the bases. However, this can be easily repaired. A Double Strand Break is when both strands are broken at nearly the same spot. This is harder to repair, and enough accumulation of double strand breaks will lead to cell death. Causing a double strand break is easiest when the cell is in the M phase of the cell cycle, when chromosome divides. Therefore, if cells divide often, they are more susceptible to radiation. Poorly differentiated cells (such as cancer cells that mutated to be very different from their original form, losing many of the repair mechanism) are also more vulnerable (the law of Bergonie and Tribondeau). Repair of DNA by the cell. Normal cell does this much better than tumor cells. So if radiation is spread out over time (fractionation), normal cell can repair in-between fractions, the tumor cells less so. Repopulation of the tumor cell in-between fractions. Each fraction of radiation must cause more damage than the cell’s ability to divide and repopulate in-between fractions. Re-assortment – Each fraction of radiation catches the cell during different part of the cell cycle. If radiation is given as one large dose, some of the cells will not be in M, when it is most sensitive to radiation, and will not be affected by the radiation. 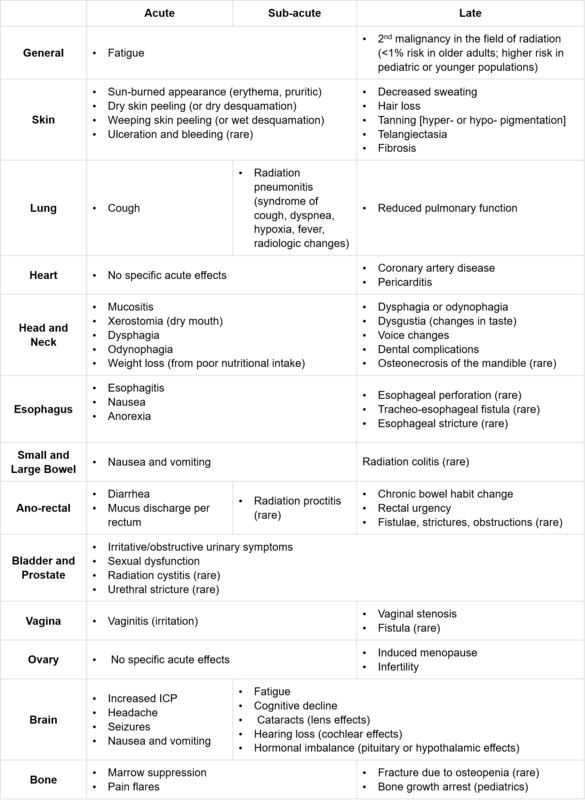 If radiation is given over many fractions, though, there is a higher chance of catching all the cells in the M phase at least once. Re-oxygenation – Most of the damage from radiation is from indirect damage, which needs oxygen to form O2-. Tumor cells further away from blood supply (e.g., in the center of the tumor) are often hypoxic, thus more resistant to radiation. If radiation is given in fractions, the tumor cell that are oxygen rich dies off first, allowing the previously-hypoxic cell to gain access to blood supply and oxygen, making them more sensitive to radiation during the next fraction. These four factors are the reason why radiation are given over many smaller doses (fractions – usually 1.8-2 Gray/Fraction – Gray is the measurement of radiation dose) over time rather than one large dose. There are some exceptions, such as for palliative radiotherapy, when the goal is shrinking the tumor enough to control symptoms rather than killing all of the tumor, or SBRT, which will be discussed later. Radiation can be given from outside the body using beams of radiation, (External Beam Radiotherapy [EBRT]), or with radioactive pellets inserted into the tumor, either temporarily (HDR) or permanently (LDR), called Brachytherapy. ‍Figure 3: Brachytherapy seeds and x-ray showing seeds implanted in the prostate (red arrow). Currently, linear accelerators (LINAC) are mostly used to generate the radiation beam for EBRT. The radiation beam is shaped into the shape of the tumor by multi-leaf collimators (which are a series of metal leaves in the radiation path that can shape the radiation beam). As well, instead of one beam that deposits a large amount of radiation to the healthy tissue in its path, many lower energy beams target the tumor from different angles. This way, the healthy tissues in the beam’s path are exposed to less radiation, resulting in more tolerable side effects. This is called 3D Conformal Radiotherapy (3D CRT). One subset of 3D CRT splits each beam into many little beamlets of different intensity, tailoring the dose and shape of the radiation to the tumor even more precisely. This is called Intensity Modulated Radiotherapy (IMRT). 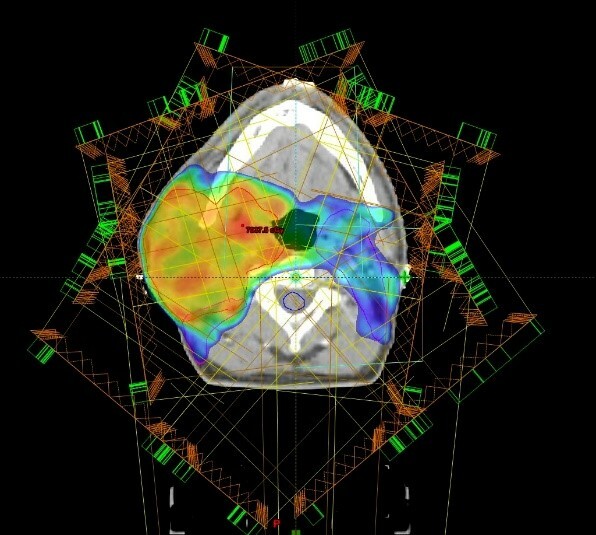 ‍Figure 4: An example of IMRT treatment plan for an Head and Neck cancer. The orange and yellow areas receive a large amounts of radiation, and the blue / colourless areas receive little radiation. Note the spinal cord and a large part of the jaw receive very little radiation, leading to less side effects. Also note the orange straight lines around the head denoting the multiple beams of radiation used. In IMRT, the head of the linear accelerator shoots one beam, stops to reposition, then shoots the second beam, repositions, and so forth. A new technique, VMAT, speeds this up by taking away the time needed to stop and reposition. 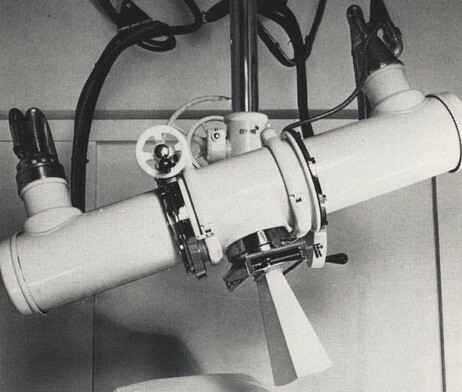 Instead, the head of the linear accelerator moves in an arc around the patient, while the parameters of the radiation beam (such as size and intensity) are all automatically adjusted while the head is moving. Previously, the radiation has been fractionated into several weeks of treatment (e.g., 20-30 fractions). Thanks to modern precision, using highly focused, higher energy beams for only a few fractions (e.g., 1-4 fractions) (called Sterotactic Body Radiotherapy, SBRT/SABR) is possible. It is gaining popularity in treating early stage lung cancer. SBRT to the brain is called Sterotactic Radio-Surgery (SRS), and it uses either a linear accelerators or a specialized machine, Gamma Knife. Usually, for most radiation megavoltage radiation (e.g., 6 or 18 MV) is used. To treat cancer that is superficial, such as on the skin, lower energy (e.g., kV) can be used, usually generated by an orthovoltage machine. Because it is so superficial, clinical exam (visual appearance and palpation), called a “clinical markup”, is sufficient to guide the treatment instead of a CT scan. ‍Figure 5: Orthovoltage machine. This is an older model (1938), but modern models have similar designs. Imagine a patient with a new diagnosis of stage III (non-small-cell) lung cancer. He has completed all the necessary staging investigations, and was referred to a Radiation Oncologist for curative concurrent chemo-radiation. Initially, he is seen in the Radiation Oncology new-patient clinic. After a focused history, physical exam, and review of investigations, the Radiation Oncologist discusses with the patient the type of radiation treatment offered, associated side effects, logistics, and treatment benefits. After careful consideration, the patient consents to radiation therapy. Afterwards, he attends patient information classes, and meets a multidisciplinary team consisting of nurses, radiation therapists (trained in operating treatment machines) and potentially a dietician, social worker, or dentist. He returns to the cancer centre a week later for a CT scan, performed in a position reproducible in the future (e.g., lying on his back, with his arms above his head). The Radiation Oncologist then marks out on the CT scan, with the help of prior PET scan, where the tumor is (gross tumor volume, GTV), adds a margin for microscopic cancer cells not seen on CT (clinical tumor volume, CTV), and another margin for the imprecision during treatment (planning tumor volume, PTV). Healthy organs were outlined (organs at risk, OAR) so the dose they received could be limited. A team of planners, led by a medical physicist, calculate the details of the treatment, targeting the prescribed area at the prescribed dose, without exceeding the prescribed dose limits for the OAR. The Radiation Oncologist then reviews and approves the plan if no other changes are required. At this point, the patient returns to the cancer centre for daily treatment, Monday to Friday, with weekends off. He spent about an hour in the cancer centre every day and returns back home after. The treatment itself lasts less than 15 minutes, with most of the time spent positioning the patient properly on the treatment couch. He feels no different when the machine is turned on; the procedure is just as if he were having a normal CT scan. Once a week during treatment, he sees the Radiation Oncologist in the review clinic to monitor for side effects. He also receives weekly chemotherapy concurrently with his radiation. After finishing his treatment, he sees the Radiation Oncologist regularly in follow up clinic to monitor for disease recurrence. After several years of follow up, the patient is discharged back to his family doctor for follow up. The focus is to eradicate the cancer. Statistically, it means the goal of the treatment is prolonging life (increase overall survival outcome) or preventing disease recurrence (increased progression free survival / less local recurrence). It can be used alone as the sole mean of treatment. For example, low risk prostate cancer can be treated with EBRT or brachytherapy alone. Radiation kills cancer cells locally within the treatment field, but does not affect circulating tumor cells in the blood or miniscule cancer metastases outside of the treatment field. Therefore, it can be combined with treatments that target tumor cells systemically, chemotherapy or hormonal therapy, before and/or after the radiation. If a treatment is given prior to another definitive treatment it is termed neo-adjuvant or after therapy is it termed adjuvant. When systemic therapy and radiation are sequenced we call this sequential therapy. For example, high risk prostate cancer can be treated with a few month of hormonal therapy (Androgen deprivation therapy, such as Zolodex), followed by radiation (EBRT then brachytherapy), then more hormonal therapy. This would be an example of both neoadjuvant (before) and adjuvant (after) hormonal therapy. Chemotherapy can also be used during radiation at a lower dose, as a radio-sensitizer – it makes tumor cells more susceptible to radiation damage (concurrent chemo-radiation). For example, inoperable stage IIIa Non-small cell lung cancer can be treated with concurrent chemotherapy (cisplatin-based) and radiation together at the same time. As well, radiation can be given before (neo-adjuvant) or after (adjuvant) surgery. The goal is to eradicate microscopic cancer cells around the tumor that would be impossible to excise completely. Left untreated, these cancer cells may grow into recurrent cancer in the future. If radiation is given before surgery, it can also shrink the tumor to make surgery more successful, which means that surgery has a higher chance of removing all of the tumor (negative margins). For example, early stage breast cancer can be treated with surgery (lumpectomy) with radiation after (adjuvant) in some patients. At times, all three (chemotherapy, radiation, and surgery) are used together. For example, esophageal cancer can be treated with neoadjuvant chemo-radiation, then surgery. The focus is on symptom control rather than eradicating the cancer. At this time, the patient would not benefit from further curative treatment or has decided against it (for instance, they weighed the severity of the side effects of the curative treatment to be worse than the small possibility of cure from it, especially in an elderly patient with multiple other comorbidities limiting his/her life expectancy as well as poor performance status). Often, stage IV (metastatic) disease are treated from a palliative approach, but not always (for example, stage IVa head and neck cancer can be treated curatively with good outcome). Radiation is a part of the tools available for symptom control in patients treated with palliative intent. The other tools include palliative chemotherapy, surgical or procedural treatments, medical, and psychosocial treatments. For instance, for a patient with bone metastasis, who is kept bed bound because of the pain (severe symptoms limiting function), the tool box includes NSAID/ Dexamethasone, Opioids, and sometimes Bisphosphonates; palliative radiation; and for unstable bone metastasis, palliative orthopaedic surgery. Lung mass / metastasis: To treat or prevent impending massive heomptysis from central mass eroding into bronchus. Also to treat cough and dyspnea from cancer. Side effects from radiation depends on the normal tissue near the cancer. For instance, radiation to the breast would carry the risk of side effects to the skin, lung, heart, brachial plexus, and general radiation symptoms. ‍Figure 6: Side effect of radiation for breast cancer depends on which organs are near the cancer. Side effects can also be acute - starting during or immediately after treatment; subacute - within 3 month of treatment; or late. There is no need to memorize them all – below is a table for reference. Cox, J.D., Stetz, J., and Pajak, T.F. Toxicity criteria of the Radiation Therapy Oncology Group (RTOG) and the European Organization for Research and Treatment of Cancer (EORTC). Int J Radiat Oncol Biol Phys., 1995, 31 (5):1341-6. Hansen, E. K., and Roach, M. Handbook of Evidence-Based Radiation Oncology, 2nd Ed. New York, NY: Springer; 2010: 691-710. Rodrigues, G., Velker, V., and Best, L. Radiation Oncology primer and review: Essential concepts and protocols. New York, NY: Demos medical; 2013: 47-62. 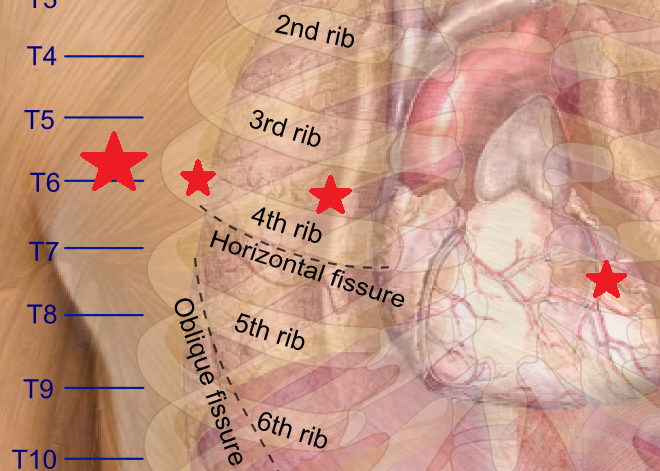 Figure 6 adopted from Haggstrom, M., 2010, https://en.wikipedia.org/wiki/File:Surface_projections_of_the_organs_of_the_trunk.png.